Happy Sunday, friends. Hope the weekend has been good to you. 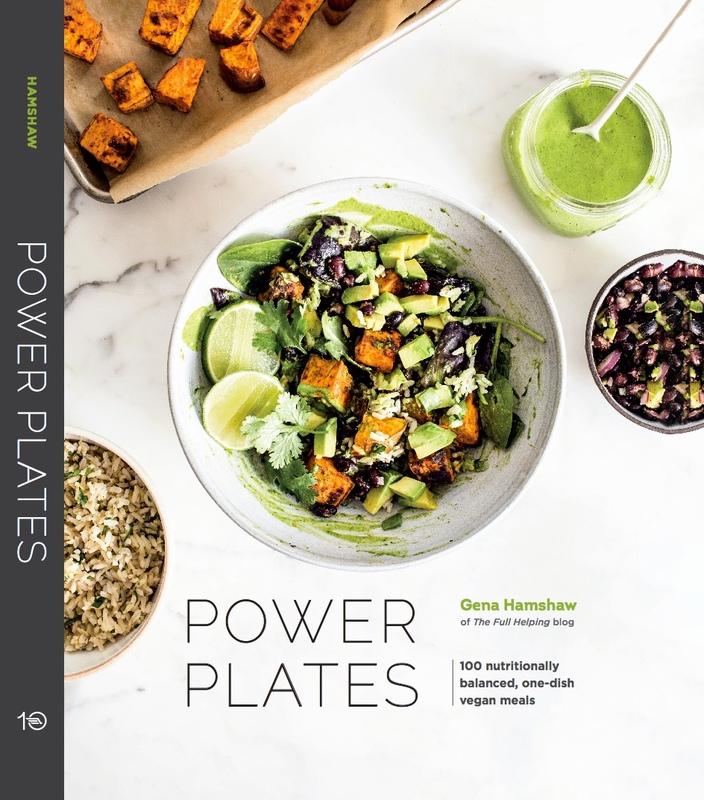 My big news this week is that my new cookbook, Power Plates, is officially available for pre-order whenever books are sold! The on-sale date is January 23, which seems far away now, but the time will fly, and it’s incredible to me that it’s all becoming real. At this time last year, I was still in the thick of the recipe testing process, my kitchen a perpetual gauntlet of dirty dishes. It felt as if the recipes would never be complete, and while I could probably have allowed myself to tinker with them forever, I’m happy—and a little nervous, of course—that they’re now making their way out into the world. 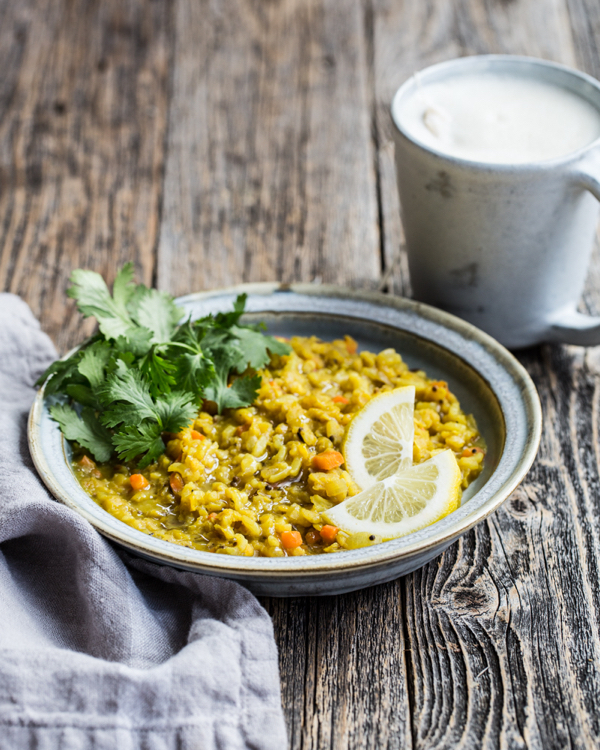 The premise of the book is that it offers up 100 nutritionally balanced, one-dish vegan meals. 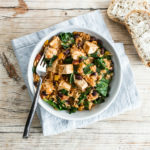 If you’re wondering what the nutritionally balanced bit means, it all grew out of this post about covering one’s macronutrient bases within meals—that is, making sure to include a good source of plant-based protein, a source of healthful fat, and a source of complex carbohydrates. My intention, both in that post and also with this recipe collection, isn’t to be prescriptive or overly precise with macronutrients. I don’ think there’s a magic ratio we should all be aiming for and don’t recommend tracking or counting. Rather, I’m suggesting that thinking about the three groups can be a useful means of creating satisfying, grounding, and diversified plates of food. 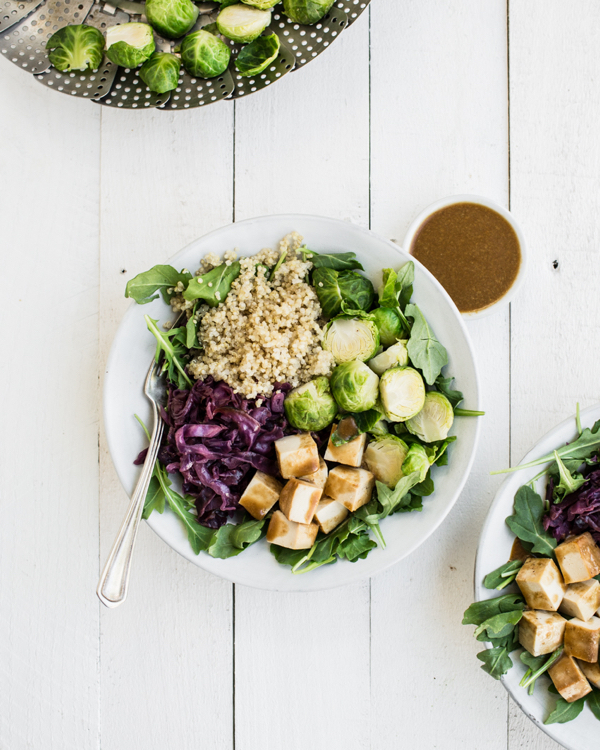 Quinoa Bowls with Braised Red Cabbage, Tofu, and Brussels Sprouts. Photo credit for this and all book images to Ashley McLaughlin Photography. The book grows out of personal experience. 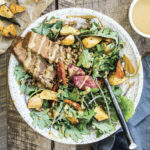 As straightforward as it might seem to get protein and carbs and fat within meals, it isn’t always intuitive or easy, especially if one is newly adjusting to a meat-free diet. 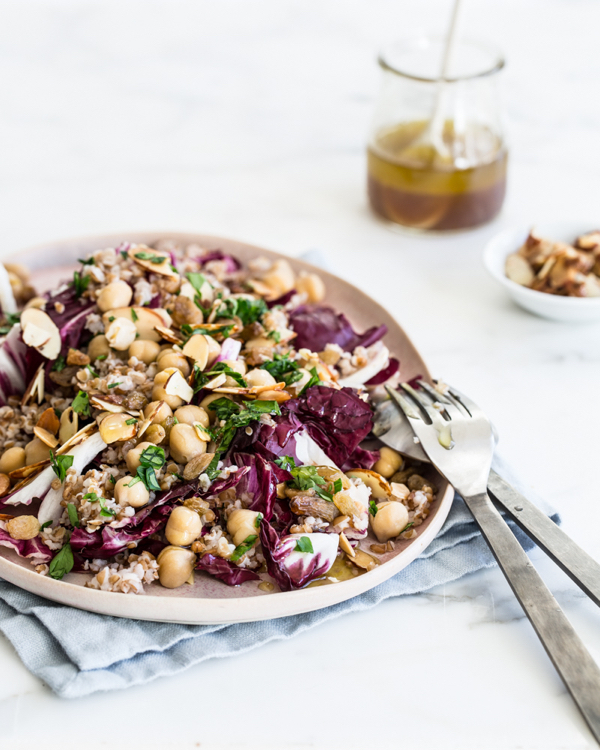 After all, many of us were raised on plates of food that typically included an animal protein, starch, and vegetable: knowing how to replicate balance without the animal protein can take some time and practice. This was definitely true for me. Many of the meals I ate in my early vegan years were rich in fat and full of vegetables, but they skimped on plant proteins. Or they didn’t have enough complex carbohydrates to keep me full and energized for long stretches of time. As my diet evolved and became more inclusive, I found that thinking about the three macronutrient groups helped me to fuel myself so much more efficiently than I had been before. It’s a process I’ve watched many clients go through, too, and nowadays macronutrient balance is one of the main objectives I work on in my nutrition coaching. With all of this said, Power Plates isn’t a nutrition book. 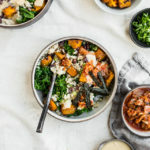 It’s a cookbook, and while the recipes were crafted with the three macronutrients in mind, my main goal was for these meals to deliver big on flavor and satisfaction. The book contains 100 breakfasts, meal-sized salads, soups, bowls, baked dishes, and skillet or stovetop meals. No appetizers, desserts, or small plates here: just whole meals, many of which lend themselves to adaptation if you’d like to make them your own. The book wouldn’t have been possible without Ashley McLaughlin, who brilliantly styled and photographed the recipes. Last summer, I spent a week in Denver with Ashley, marveling as she made the food come to life. We spent the next five months working together closely—through the final weeks of her pregnancy!—and I really couldn’t have done it without her. She’s to thank for all of the beautiful images you see in this post, and the many dozens that line the pages of the book. This is the third book I’ve worked on, and it’s the one that feels the most “like me,” if that makes sense. 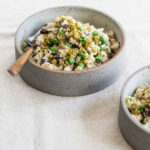 It captures a way of eating that has become second nature to me as a home cook, and creating the recipes felt a little bit like throwing open my kitchen doors. Beyond that, the book got written over the course of an unintentionally challenging and tumultuous two years. It’s poignant for me to think about the fact that Steven tasted every single one of the recipes along with me, and by the time the book is published we’ll have both moved on to very different places in life. 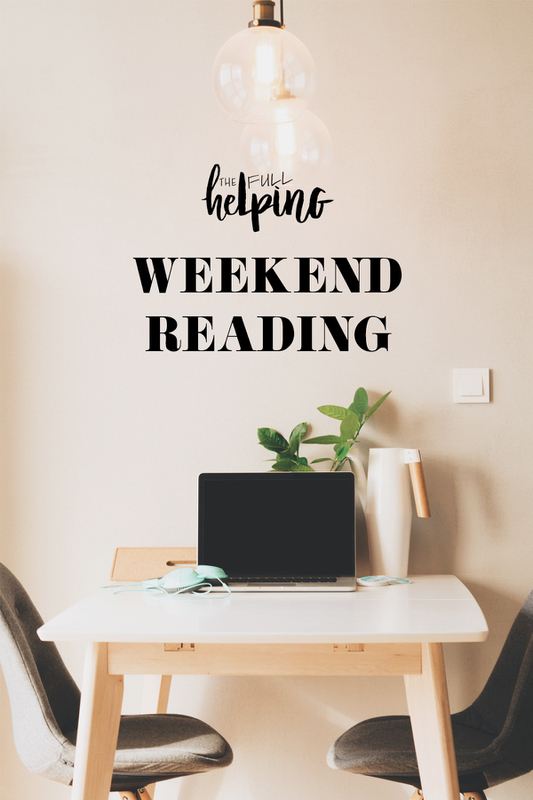 It’s equally moving to think about the other shifts and changes that were taking place as the recipes were coming together, personal developments that I’ve chronicled in my weekend reading posts this past year. In some ways, I’m surprised that anything creative emerged from this period of my life, and in other ways, it makes a lot of sense. In any case, the book will always have a special place in my heart, not in spite of but because it came to life during such a complex juncture. You can pre-order a copy of Power Plates now through Amazon, Barnes & Noble, or IndieBound, or you can keep a lookout for it at your favorite bookseller in January. I’m excited to share more about it as publication time draws near, including some of my favorite recipes and highlights! Thanks for letting me share the news. 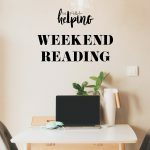 Now it’s time to share the recipes from friends and fellow foodies that caught my eye this week, as well as some reads that grabbed my attention. As always, I hope you enjoy them. 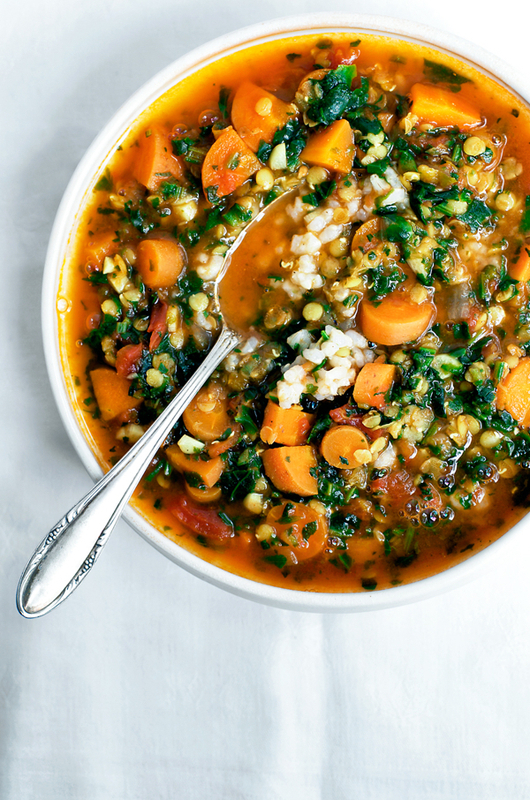 Alexandra has me feeling all sorts of excited for fall with her carrot, red lentil, and spinach soup. 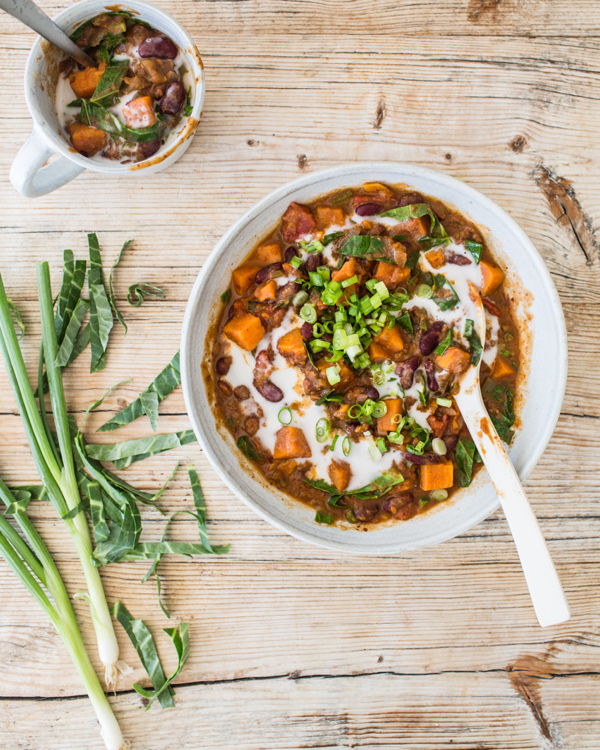 So hearty and nourishing, plus simple to make and freezer-friendly. My kinda meal. Looking for back-to-school lunchbox inspiration? 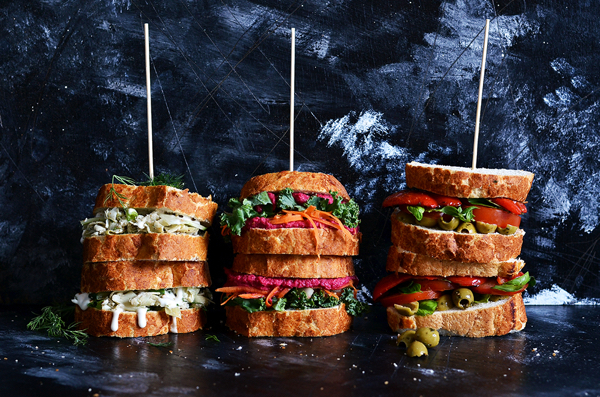 The Hungry Herbivores have three awesome sandwich ideas, all of which are off the beaten path. I’m hungry just looking at them. 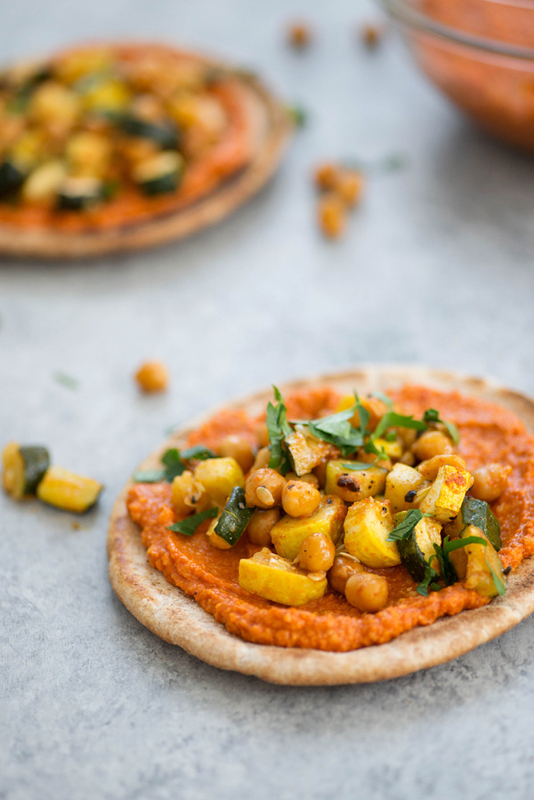 Pita, romesco sauce, roasted vegetables, chickpeas: these are all a few of my favorite things. I love how Alexandra puts them together in this recipe. 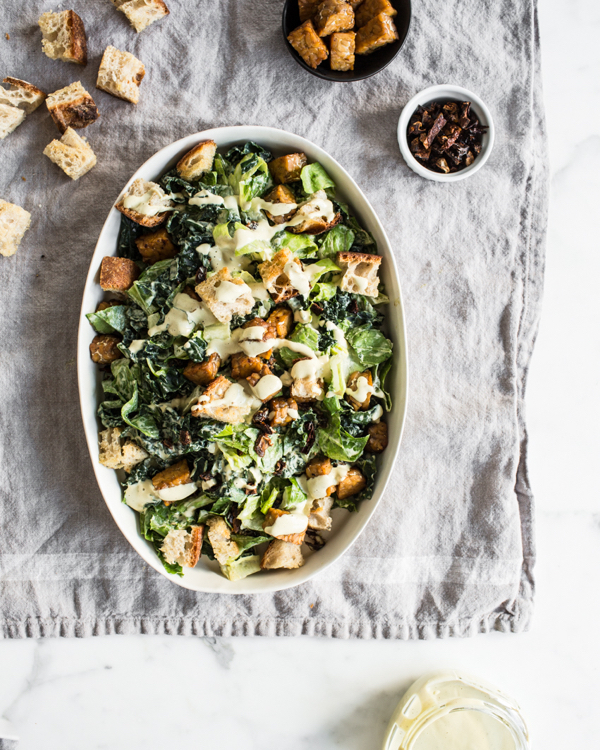 Erin’s recipes are always so bold and flavorful! 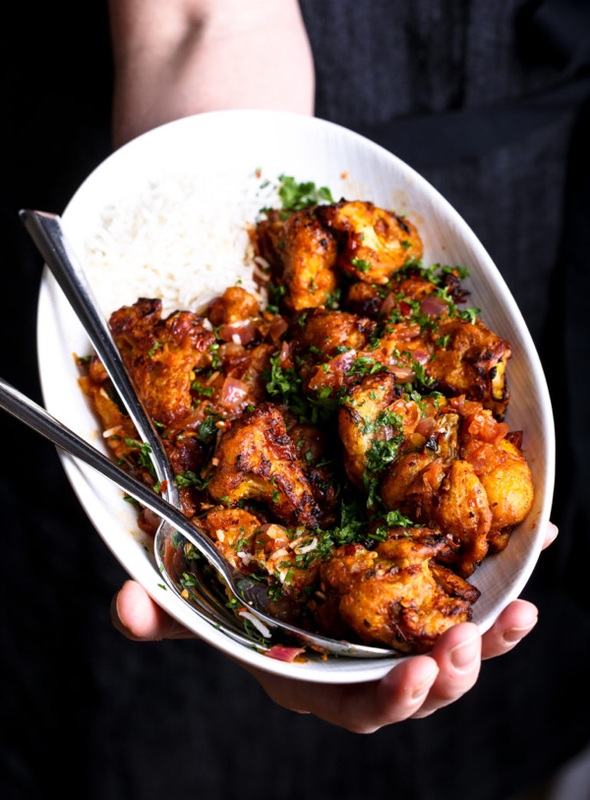 I’m currently loving on her Gobi Manchurian, a crispy, spicy cauliflower dish that could be served with rice, baked tofu, or any number of other, tasty vegan accompaniments. Finishing with a healthy dose of chocolate. 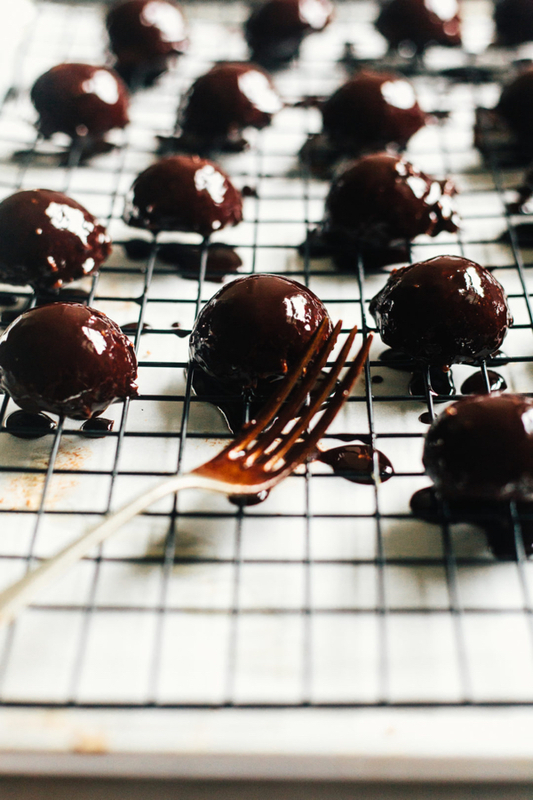 Sophie’s double chocolate macaroons look so rich and delicious, and they’re no-bake, to boot. 1. A fascinating, probing, and comprehensive article about efforts underway in the medical community to better understand and gauge pain—a sensation that is notoriously difficult for patients to describe and communicate. 2. One of my readers sent me this article, which touches on how rising carbon dioxide levels in the atmosphere may be altering the nutrient density of foods. She asked if I’d come across the research in my program, which I haven’t, probably because it looks to be in a fairly nascent state. But it’s really interesting information, and I’ll be curious to see how the body of evidence shapes up in the coming years, along with so many other things we’re learning about how climate change impacts the world around us. 3. Another potential danger of climate change: the die-off of parasites. We often think of parasites as being dangers or pests, but as this article makes clear, we live symbiotically with them, and their demise could be disastrous for us. 4. This week, New York City finally unveiled universal free lunch for public school students. It’s a major win, though much work will need to be done to continue combatting the social stigma associated with the meal, which often prevents kids from partaking. The Atlantic‘s Gastropod podcast examines some of the history and issues surrounding the fight for universal free lunch in our era of rampant food insecurity. 5. I recently read Samin Nosrat’s Salt, Fat, Acid, Heat, and I learned so much about cooking along the way. I really enjoyed her recent article on long-cooked vegetables, those that become “overcooked” in such a way that turns them into a sweet, flavorful, and tender stew. Enjoy the articles, enjoy your evening. I’ll be circling back tomorrow with a new favorite recipe for vegan pizza margherita! Congratulations Gena, can’t wait! I just put in my preorder! Congratulations on the new book! I will definitely be ordering. Congratulations on book #3! 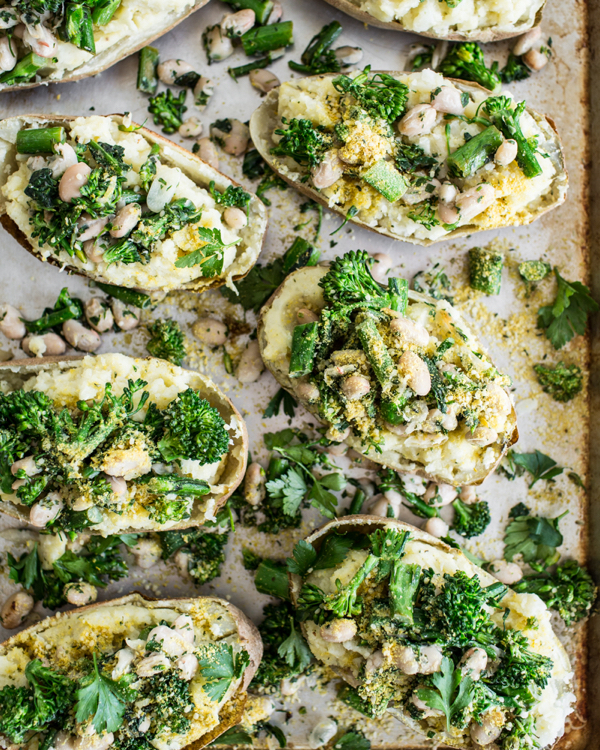 The photos really are lovely and the one that is screaming my name is the baked potato with broccoli and white beans. That’s just my kind of cool-weather comfort food! Congrats on the new book, Gena! I can’t wait to get my hands on a copy of it all the way in Sweden. Looks gorgeous, and the meals look delicious and well balanced. Just perfect! This is so exciting, congratulations! Can’t wait to get a copy! Gena, would you possibly be able to suggest me some vegan sources of calcium? I’ve been having some problems recently and the dietician has said I need to increase my intake, but the list the hospital sent is almost entirely dairy-based products and I was just wondering if there’s any other way I can get it? This post may be helpful! My heart is so happy to see this post!! I’m so excited to see this book come to life! Amazing job Gena!! Hi Gena, I just pre-ordered your new book. I can’t wait to get my hands on it :). I’m so happy to have re-acquainted myself with your blog this year. I truly love making your recipes already and I can’t wait to make more! So excited for your upcoming cookbook, Gena! Sounds like it will be just my speed. Congratulation! Congratulations Gena! I can’t wait to read the book! Chicken Curry is my favorite one pot meal. Congratulations on another book! Really love your recipes. My fav one dish meal is black eyed peas and rice. Such comfort food.